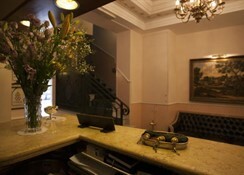 The 3-star Doria Hotel is a value for money hotel in the enchanting city of Rome. 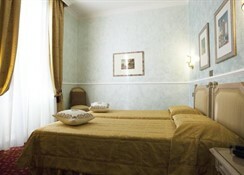 It's situated in a renovated ancient palace and located close to the basilica St. Maria Maggiore. 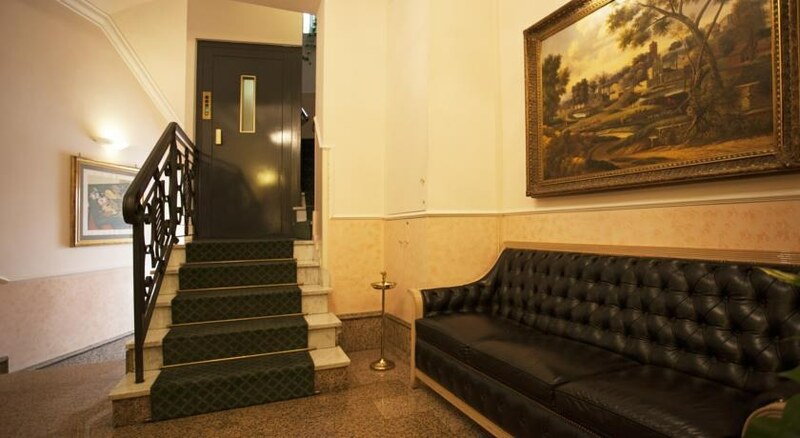 Having only 20 comfortable rooms, the Doria has a relaxed and sociable atmosphere, and offers useful information on the city. You can “do Rome” without denting your wallet – lets get going, it's all waiting for us. You're not far from the Coliseum and Spanish Steps and the easy access to public transport stops, including the metro, makes it stress-free to view all the major attractions. Serious sightseeing is your focus. 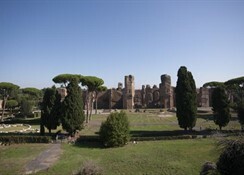 Rome City is a cauldron of magnificent monuments and landmarks, steeped in history and cultural beliefs. You may also fall in love with the Italian approach to life and their renowned hospitality. Guest Rooms Sleep soundly in your comfortable room. With air-con, WiFi & ADSL connection, SAT-TV, mini fridge and safe box you have all the essentials for a pleasant stay. 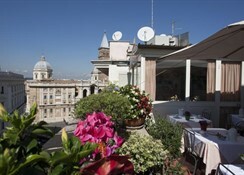 Wake refreshed in the morning and look out over the Coliseum from the roof garden. Fiumicino Leonardo da Vinci Airport serves. 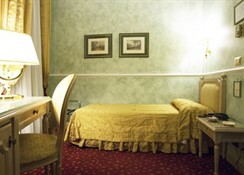 The hotel is a 5-minute walk from Termini Rail Station.